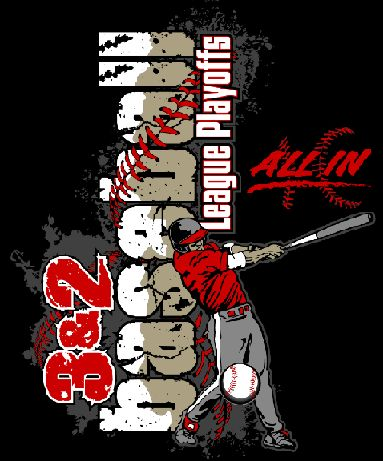 2015 League Playoffs | The 3&2 Baseball Club of Johnson County, Inc.
We are pleased to announce the playoff bracket schedule for the 2015 season. In addition to the rule set referenced below in each level of play, the maximum number of runs a team can score in one half inning is 7. Games will end when a team cannot score enough in the remaining innings to surpass the current run difference. Home Team is determined by a coin flip before the game. You do not need a league official present for the flip. Find your opponent and flip for home/visitor for all pool games. IN BRACKET play, home team is the higher seed. Note: Because its a single elimination blind draw, home/visitor for ALL games in 1st & 2nd Grade MP are determined by coin flip. All games in league playoffs for grades 1st - 8th are 1:30 minute time limit.